Wild and Game, the not for profit business that aims to turn the UK into a nation of game eaters, has launched a new range of high quality ready meals. The idea behind the new range is to take familiar favourites and make them into ready meals using game as the meat ingredient. The hope is that people will realise how easy it is to enjoy game in the place of more widely used meats, such as beef and chicken. The ready meals include grouse with mushroom and peppercorn sauce; pheasant breasts with pancetta, mushroom and cider sauce; pheasant breasts Florentine; and pheasant tikka masala. “These are dishes people would probably love to cook at home, but many people are not confident cooking with game, so we came up with this range of high quality ready meals to make life easier,” says Wild and Game’s co-founder Steven Frampton. 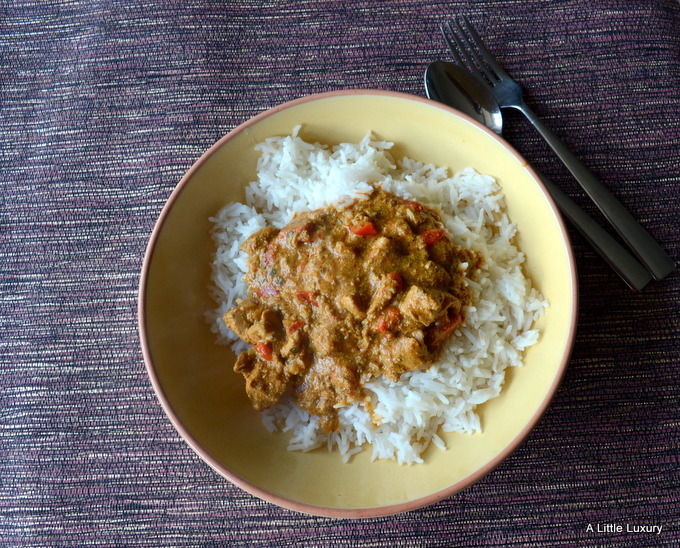 I tried out the Pheasant Tikka Masala. It was a nice generous portion size, although it is advertised as for two people, and it actually provided a very hearty meal for one and if I’d been less hungry there might have been some leftovers. Whilst the dish is made for you, this isn’t the sort of meal you can put in the microwave for a few minutes and then sit down to eat. It needs 80-90 minutes and that needs to be in the oven. So that requires a bit of planning and forethought. Also, you’ll need to provide rice or naan bread or whatever you fancy as an accompaniment yourself. That said, you will get a meal that is full of flavour and does taste like you have lovingly cooked it for several hours. I think you could get away with serving this up at a dinner party as your own dish as long as you served up some rice with it. In fact, I’m tempted to do that as it would certainly cut down on the stress and my guests would be getting a very decent meal. Now I’m a bit of a game fan, but I was surprised how well pheasant suited the subtle, yet distinctive flavours of tikka masala. The pheasant added a richness and depth of flavour that you certainly don’t get with a blander meat like chicken. I’d go as far as saying that pheasant is a much better bird to use with the dish and I’d certainly be happy to eat this dish again. I’ve had their sausages and pies. These ready meals sound wonderful! I love game and I’m glad to see Wild and Game championing it. Oooh, I’m intrigued! They sounds great. I’m a big fan of ready meals recently. I think the 90 minutes cooking time could be a deal breaker for a lot of people. If you had that sort of time available you wouldn’t be going for a ready meal, but I guess if all you have to do is put it in the oven then it is still a bit of time saved in preparation. Oh it does look very tasty. I am liking the sound of this one. This sounds interesting. My husband cooks a lot of Indian food, but not game, so I might suggest he tries pheasant tikka masala.